The theory of casein and gluten derived exorphins and their influence on autism via gut disbiosis is well known. This theory has given rise to a demand for foods and supplements, which are both casein- and gluten-free. However, as more test results have been reported on different products, there has been an appearance of often-spurious results. This has been especially true of probiotic supplements. Until now, the issues surrounding such wide-ranging results have not been addressed. This report discusses the technical issues involved in testing and presents a concluding commentary as to the relevance of such tests to the autistic community. Currently, there is a demand in the autism community for foods and supplements, which are both casein and gluten free (CGF). 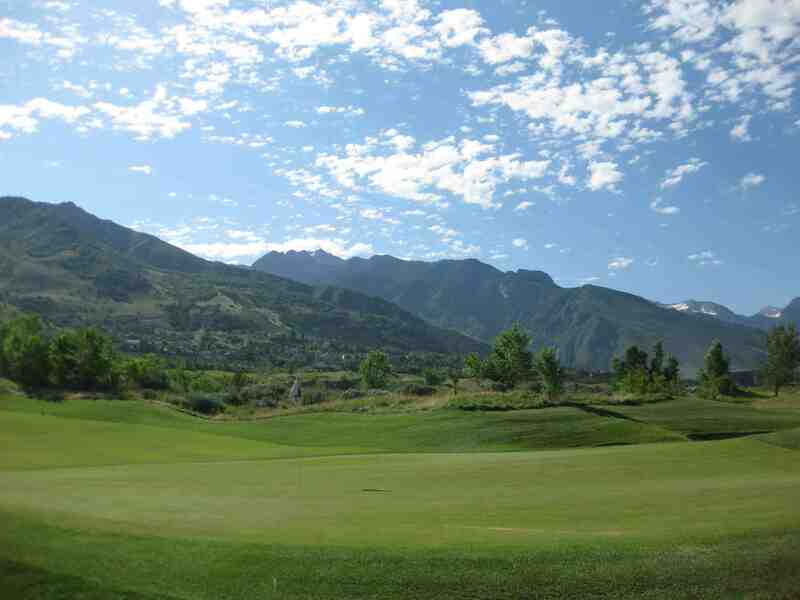 There is also an increasing demand for probiotic organisms. Question has arisen regarding the ability to produce probiotic organisms, which can qualify as CGF. The CGF issue presents several technical issues, which have remained un-addressed. At present, the overwhelming majority of probiotics are produced in growth media, which at some point contain at least one dairy product. However, it is generally agreed that through proper attention to growth conditions as well as processing methods, the state of the art is such that for all intents-and-purposes, the final products can be considered milk or casein free. This is because during normal growth and processing, the bacteria consume the dairy constituents of the growth media and residuals are separated during the concentration/purification of the probiotics. However, there are often problems demonstrating this property due to the inherent problems of current assay methods. There are several types of assay methods currently employed for the detection of casein. The first is precipitation and quantification by "total protein" methods such as the Kjeldahl procedure. The second is by an enzyme-linked immunosorbent assay (ELISA). The ELISA method utilizes antibodies to detect the casein as a target antigen with subsequent reporter systems (e.g., colorometric). The former method evolved out of the food processing industry as a way to test milk products for casein. The method relies on the fact that the vast majority of protein present in milk is casein and for that industry, the method proved useful. Additionally, the probiotics are living organisms producing a wide variety of proteins. These too can contribute to a false positive signal from the reporter system due to similarity to casein in sequence. The chance of this happening when using a mAb is much less than when a pAb is employed, however, the standard "kit" used to detect casein contain pAbs not mAbs. It is worth emphasizing that different bacteria produce different levels of various proteins so there can be what appear as spurious results from species to species and even strain to strain. Because the probiotic organisms contain thousands of different proteins at any given time, the method is not appropriate for the determination of casein in any given culture. Similarly, the later method has several drawbacks, which are discussed below. First, in the ELSA, it is most desirable to use a monoclonal antibody (mAb) vs. a polyclonal antibody (pAb) for reasons of specificity. With a mAb, the chances of a false positive are much less because the mAb is much more specific for the desired target (in this case casein) than the pAb is. The pAb by its very definition is specific for several if not many different targets. The reason is that a pAb is not one single antibody, but consists of many different Abs and hence the "poly." For many purposes, a pAb is sufficient. The reasons for the use of a pAb over a mAb range from time to cost. A pAb can be produced much faster than a mAb and at much less cost. Those are just the first problems associated with the ELISA assay. While ELISA is a very good assay technique, it is less than desirable for assaying casein in probiotics. The reason for this, in addition to those above, has to do with how the "reporter" portion of the ELISA functions. While there are different ways to perform the ELISA assay, they all can be generalized as follows. During the ELISA, when a target molecule binds to the Ab, a subsequent enzymatic reaction (typically the enzyme is "linked" to the antibody) is used to "report" that the binding occurred. This enzymatic reaction, more often than not, involves a peroxidase or phosphatase. Herein lies the problem, because probiotics produce proxidases and phosphatases. The problem is further confounded because different bacteria produce different levels of these enzymes. For instance, Fitzsimmon and Berry (1994, pp 125-33) showed that lactobacillus acidophilus (LA) produce peroxidase. Not surprisingly, LA shows up as a positive using the ELISA even when produced using the very same procedure for other strains which show up as negatives. Further, there are probably other enzymes produced by the bacteria, which can similarly trigger the reporter system resulting in a false positive. There is a third, though less-common method for detecting casein, which utilizes gel (typically, SDS-polyacrylamide) chromatography. Here, cellular extracts are placed in an electric field at one end of a gel matrix. The matrix allows the smaller proteins to move through first and the larger proteins to migrate more slowly and hence lag relative to the smaller proteins. This differential mobility in the gel affords a separation of proteins and protein fragments. The main problem with this method is that it is not only possible, but probable, that two very different proteins (based on sequence) can have the same mobility in the gel. This limitation can be overcome, but only to a degree, using isoelectric focusing gels. This process also has similar problems associated with it. As a final note, it should be kept in mind that the reason for the concern over the casein in the first place is the fear of the production of exorphins from the casein. This is important because the probiotic organisms that are being subjected to the casein analysis, themselves contain enzymes capable of breaking-down such exorphins. Varmanen et al (2000, pp. 146-54) recently showed that probiotic organisms, currently utilized as health supplements, contain analogues of the Dipeptidyl peptidase IV enzyme (e.g., PepX2) which is known to be able to digest exorphins. Noteworthy is the fact that the higher the concentration of probiotics a supplement might contain, the higher the chances it will test as a false positive for casein while concurrently producing extraordinarily large amounts of the DPPIV analogues. Taken as a whole, this information serves to clarify several standing issues regarding both probiotic supplementation in autism, as well as reported test discrepancies. In light of recent advances in understanding the underlying enzymology of probiotic organisms, it is prudent to view casein testing in light of the actual biological significance that any detected presence might have. Further, the current state of the art of casein testing should be given proper consideration. Fitzsimmon N, Berry DR. Inhibition of Candida albicans by Lactobacillus acidophilus:evidence for the involvement of a peroxidase system. Microbios 1994;80(323):125-33. Varmanen P, Savijoki K, Avall S, Palva A, Tynkkynen S54X-prolyl dipeptidyl aminopeptidase gene (pepX) is part of the glnRA operon inLactobacillus rhamnosus. J Bacteriol 2000 Jan;182(1):146-54. 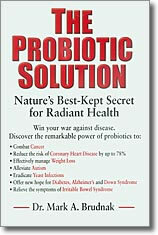 Read Dr. Mark Brudnak's The Probiotic Solution and win your war against disease.